With summer fast approaching (rejoice! ), the ‘natural’ make-up trend that seems to always rear its head during the warmer months is looming. For some reason or another, women seem to down their heavy winter products in favour of light and natural ‘barely there’ products – usually in pursuit or looking like we aren’t actually wearing make-up at all. This summer, lip glows are set to be a beauty ‘must have’, providing us with the most natural looking hue because they are intelligent enough to adjust to our own unique skin tone – giving the perfect ‘your lips but better’ look that we all long for. Below are our top lip glow picks, one to suit every budget. This little gem is from Topshop’s latest whimsical collection – sisters of the new moon, and is just one of the standout products from a very interesting and quirky offering of products. This moisturing sheer lip tint reacts with your skin to create a unique pink shade. It can be worn alone or with a gloss for a shiny finish. Don’t be fooled by the appearance of glitter in this product – it doesn’t translate onto the lips. This is a light and non-drying formula that will adjust to form a natural shade of pink just for you. 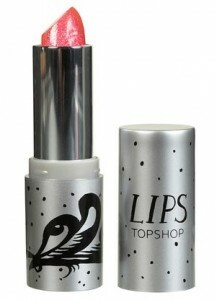 The glow is enriched with pomegranate extract, emollient oil and polymers and will leave lips feeling soft and supple. It may be a little on the pricy side but this balm reacts to the moisture levels in the lips to provide protection and hydration as well as a natural looking colour. The balm also contains SPF10. This product is the only gloss of the bunch for those of you who love a little shine. The product is enriched with PH reactive pigments that will adjust to your skin tone and form a personalised pink in less than a minute.